Detox diets: They do what they promise? That from which we try to distance ourselves by fasting or extreme detox diet is exactly what we need to detoxify the best: food. Mash, centrifuges, fasts. More and more often, you hear about detox diets but it really makes sense this fashion? Those procedures sometimes as extreme fasting that lasted, according to supporters, should lead to miraculous effects of purification of body and soul. Some of these practices are frankly dangerous, others simply unnecessary and counterproductive. But let’s understand why? In the collective imagination the toxins come from outside and attack us as enemies. The reality is that the toxic load we are exposed stems in part from the outside and partly by our own metabolism produces substances that must be eliminated. Abstain from food so it does not reduce to zero the production of toxins. Rather. The body in charge of cleaning up our body, the liver, is in fact voracious and to work well requires a continuous supply of nutrients. In particular, vitamins, antioxidants and amino acids are essential for proper functioning of the liver. Essentially that from which we try to distance ourselves by fasting or extreme detox diet is exactly what we need to detoxify the best: the food. The correct foods are not our enemies but rather the first allies to remove toxins from our body. So the real issue is not whether or not to make a “detox diet” but how to avoid the power “pro-tox” instead most people continue to practice. 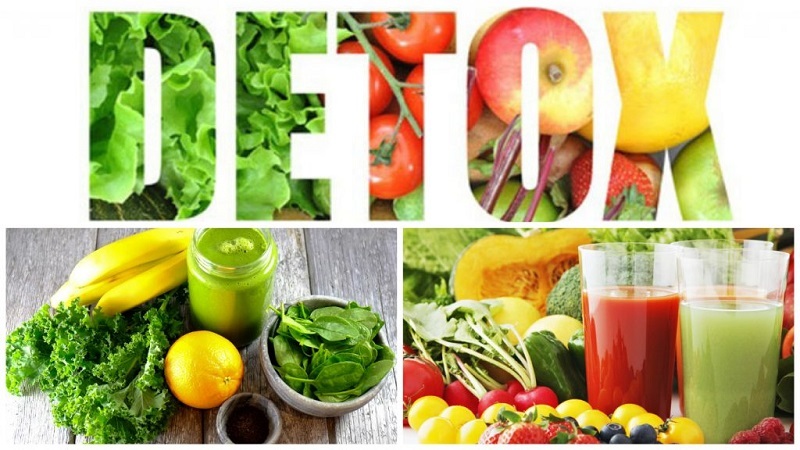 In short, we should not focus on specific strategies and momentary to remove toxins but rather on lifestyle and nutrition that minimizes accumulation in general and promotes detoxification permanently. Avoid smoking, alcohol abuse, taking wholesome foods including plenty of vegetables, fruit, fish, whole grains and healthy fats is the best way to ensure a solid liver function and therefore of the delicate mechanisms of neutralization of toxins. There is a tendency for many people to fall into the trap of the solutions that appear simple, linear maybe, but not real sensible and scientifically. Here then is the spread of slimming diets, workouts hard-zero, miraculous supplements, detoxification programs of each type and gender, alternative cures for every disease, promoted networking as panaceas. The reality and the scientific data tell us that instead of the correct path to follow in order to live well is to start from our lifestyle, from our daily habits, relying not so much the guru of the moment, as to the knowledge of ourselves, of our errors and our limitations. It is from this that we must begin. And if there are serious symptoms and diseases, let us turn to the doctor.